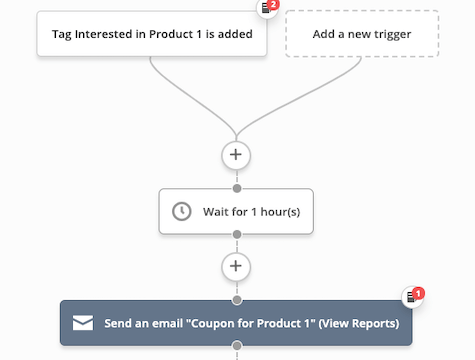 Deliver messages that align with the product a contact is interested in. It begins when a product interest tag is applied. It should send content and offers that are related to that product interest so you can strengthen your relationship with the contact and incentivize them to make a purchase. The CVC code is a 3 or 4 digit number located at either the front or back of your card. By clicking "Purchase", you agree that we can charge your account a one-time fee of $0.00USD. Your payment has been successully processed and your automation is ready for use now. The automation has been successfully added to your account.